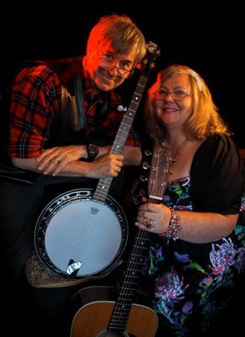 Michael and Dianne are The Jammalongers, playing Bluegrass/Country/Folk infusion music styles. Great fun, easy listening music with the sounds of guitar and vocal mixed with the ever loved sound of the banjo https://avigen..scription/. Michael and Dianne also host a their own Jammalong free group that meets each month in Canberra to enjoy sharing the experience of music together and from that group they will bring to the AU concerts some special guests to compilment their act.